Horses have long been one of the most economically important domesticated animals, and have played an important role in the transport of people and cargo for thousands of years. Most notably, horses can be ridden by a person perched on a saddle attached to the animal, and are also widely harnessed to pull objects like wheeled vehicles or plows. 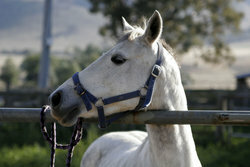 In some human cultures, horses are also widely used as a source of food. Though isolated domestication may have occurred as early as 4500 BC, clear evidence of widespread use by humans dates to no earlier than 2000 BC, as evidenced by the Sintashta chariot burials (see Domestication of the horse). Until the middle of the 20th century, armies used horses extensively in warfare; soldiers still refer to the groups of machines that have replaced horses on the battlefield as "cavalry" units, and sometimes preserve traditional horse-oriented names for military units (Lord Strathcona's Horse). 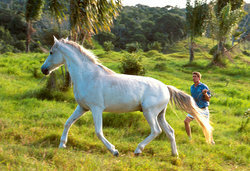 The earliest evidence for the domestication of the horse comes from Central Asia and dates to approximately 4,000 BCE. Competing theories exist as to the time and place of initial domestication. Wild species continued to survive into historic times. For example, the Forest Horse (Equus ferus silvaticus, also called the Diluvial Horse) is thought to have evolved into Equus ferus germanicus, and may have contributed to the development of the heavy horses of northern Europe, such as the Ardennais. The tarpan, Equus ferus ferus, became extinct in 1880. 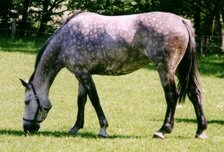 Its genetic line is lost, but its phenotype has been recreated by a "breeding back" process, in which living domesticated horses with primitive features were repeatedly interbred. Thanks to the efforts of the brothers Lutz Heck (director of the Berlin zoo) and Heinz Heck (director of Tierpark Munich Hellabrunn), the resulting Wild Polish Horse or Konik more closely resembles the tarpan than any other living horse. Przewalski's Horse (Equus ferus przewalskii), a rare Asian species, is the only true wild horse alive today. Mongolians know it as the taki, while the Kirghiz people call it a kirtag. Small wild breeding populations of this animal exist in Mongolia. Wild animals, whose ancestors have never undergone domestication, are distinct from feral animals, who had domesticated ancestors but now live in the wild. Several populations of feral horses exist, including those in the West of the United States and Canada (often called "mustangs") and in parts of Australia ("brumbies") and New Zealand ("Kaimanawa horses"). Isolated feral populations are often named for their geographic location; in Namiba feral animals known as Namib Desert Horses live in the desert, while the Sable Island Horses are resident on Sable Island, Canada. Feral horses may provide useful insights into the behavior of ancestral wild horses. Prices current as of last update, 04/16/19 4:27am.